Yiu-ming Cheung is a Full Professor of Department of Computer Science at Hong Kong Baptist University (HKBU), Hong Kong. He received PhD degree from Department of Computer Science and Engineering at The Chinese University of Hong Kong in 2000, and then joined the Department of Computer Science at HKBU in 2001. He is currently the Associate Programme Director of MSc in Advanced Information Systems, and the Associate Director of Institute of Computational and Theoretical Studies in HKBU. He is an IEEE / IET / IEE Fellow and British Computer Society (BCS) Fellow, and the “Chu Tian Scholars (楚天學者)” in China. His research interests include Computational Intelligence, Statistical Learning, Intelligent Visual Computing, Pattern Recognition, Data Mining, and Watermarking. He has published over 200 articles in the high-quality conferences and journals, including IEEE Transactions on Pattern Analysis and Machine Intelligence, IEEE Transactions on Neural Networks and Learning Systems, IEEE Transactions on Information Forensics and Security, IEEE Transactions on Image Processing, IEEE Transactions on Knowledge and Data Engineering, IEEE Transactions on SMC (Part B), Pattern Recognition, and so on. 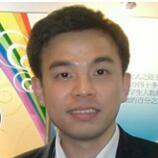 Moreover, he has been granted one Chinese patent and two US patents. In particular, selected from 1000 new inventions and products of 700+ competition teams from 40 countries, he was awarded two most prestigious prizes: (1) the Gold Medal with Distinction (i.e. the highest grade in Gold Medals) and (2) Swiss Automobile Club Prize, in the 45th International Exhibition of Invention, Geneva, Switzerland, on March 29-April 2, 2017, upon his excellent innovative work and the potential for making huge social and economic impact. In addition, he was the recipient of the Best Research Paper Award in IEEE IWDVT’2015 and ICNC-FSKD’2014, respectively, and the recipient of 2011 Best Research Award in Department of Computer Science, HKBU. He is the Founding Chairman of IEEE (Hong Kong) Computational Intelligence Chapter and the current Vice Chair of Technical Committee on Intelligent Informatics (TCII) of IEEE Computer Society. He has served in various capacities (e.g., Organizing Committee Chair, Program Committee Chair, Financial Chair, etc.) at several top-tier international conferences, including IEEE-sponsored WCCI’2016, ICDM’2017 & ICDM’2006, WI-IAT’2012 & WI-IAT’2006. Currently, he is the Associate Editor of several prestigious journals, including IEEE Transactions on Neural Networks and Learning Systems, Pattern Recognition, Knowledge and Information Systems (KAIS), and International Journal of Pattern Recognition and Artificial Intelligence, as well as the Guest Co-editor in several international journals.